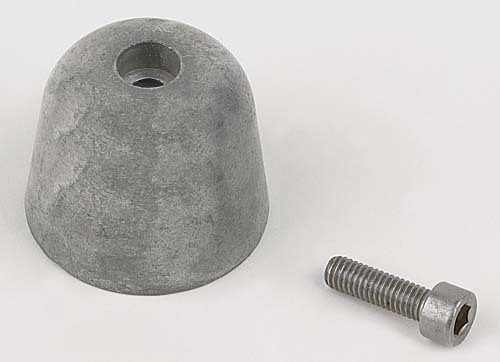 Zinc Anode and Screw for older 10/15/20hp Twin with bronze props (2 needed). A single securing screw is included. Not sold as a pair. Please request a quantity of two when placing your order.